The Nortel IP Phone 1220 is one of the desksets in the exciting IP Phone 1200 Series that come pre-programmed with key features used by today’s businesses. The Nortel IP Phone 1220 is an intermediate-level desktop that comes with four soft keys and six shortcut keys. 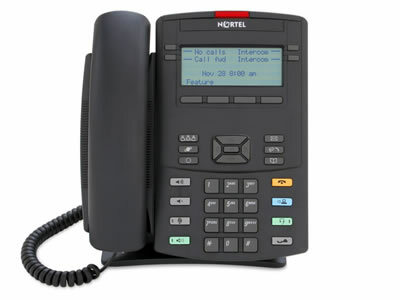 The Nortel 1220 IP Phone is ideally positioned for office workers with moderate call activity. The Nortel Avaya IP Phone 1200 series is an innovative portfolio of IP Phones which include multiple softkeys, integrated speakerphone, advanced audio-quality technology for crystal clear conversations, headset support and an integrated Ethernet switch for single desktop wiring. The sets can be easily customized for advanced users.